My apologies for reaching you through the comments section, but I could not find contact information for you on your sites or your other blogs listed on your profile. Mind Over Mind by Karina Fabian (Fantasy): Deryl Stephens' uncontrollable telepathic abilities have landed him in a mental health institution, where no one believe in his powers. Joshua Lawson, a summer intern at SK-Mental Institute, does something no one else has ever done: he accepts Deryl's reality and teaches him to work with it. As Deryl learns control, he finds his next challenge is to face the aliens who have been contacting him psychically for years--aliens who would use him to further their cause in an interplanetary war. The first in the Mind Over trilogy, from DragonMoon Press. If interested, please e-mail me at karina(at)fabianspace.com, and I'd be glad to send you a copy. Worst. (Half a -)Review. Ever. Look, Pat, I don't care that you didn't like the book. What bothers me is that almost every paragraph of your review is repetitive. It's basically, "the beginning rocked. The rest sucked". Which is fine. But it's almost as though you sought to emulate what you think China achieved with your review. Did we really need eight paragraphs to tell us you found the middle portion dull and uninspiring? I think not. And by the end you fail to tell us if the ending was any good. You tell us the beginning rocked and the middle sucked, but then get so caught up on reminding us that the middle sucked that your "review" just kinda peters out. @Nick: He does say that the ending was good. Twice actually. Maybe that wasn't repetitive enough for you. I've been underwhelmed a lot by this author. My regret is that he seems to be the only person in the genre who gets reviewed in the MSM. He takes up all the air. I wasn't overly fond of this either. I really liked the idea, and found the Hosts a really interesting creating. But the first 2/3 of the story did very little for me. The last third I thought was great. I totally agree with you about the main character though, she was without character. "Avice as a first-person narrator could not convey the depth of the themes explored in this book." Not enough worrying and lip-biting? "I've been underwhelmed a lot by this author. My regret is that he seems to be the only person in the genre who gets reviewed in the MSM. He takes up all the air." 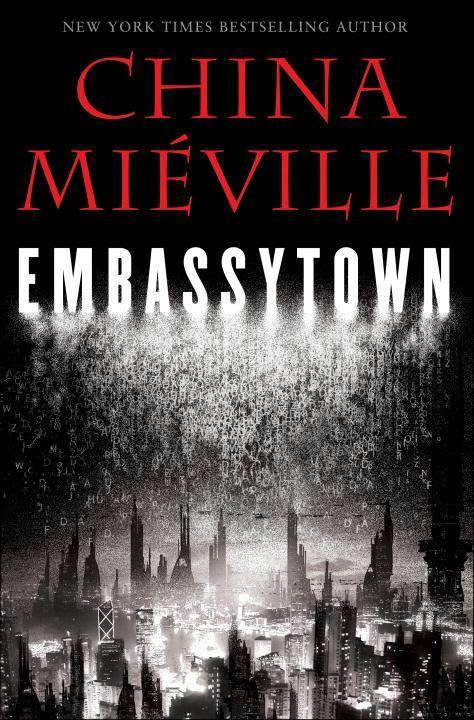 Strange that Miéville seems to lose it since he stopped writing his Bas-Lag-Stories. Those were great books with unique ideas and good characterizations, even his style was somehow fresh. After that? 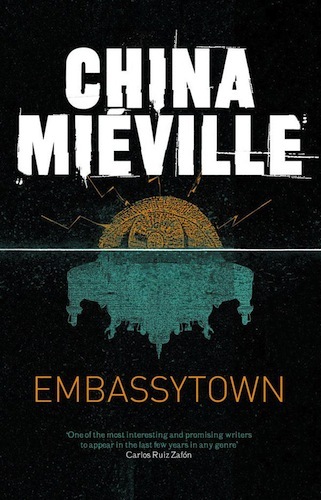 Hm, I forced myself to like "The City & the City" or "Kraken", but somehow Miéville was more confusing than ever and I missed the depth behind his protagonists and more of the mystery and atmosphere he is able to create. The basic ideas of those books, the framework of both, was highly interesting, but what he made of those was just 50% or less what he could have done with it. He should go back to Bas-Lag if he wants to deserve the hype around his works. "We don't you like your kind with your fancy words around here..."
This review is far from a general statement on the writer. He'll just write more books and some will get less mixed reviews. This book was quite painful for me to read. I felt like somebody was beating me with a ruler and forcing me to painfully read another page. It was really bad! I thought the mean nun from the Catholic school was punishing me for consorting with the boys on the other side of the fence. I threw the book in the donation pile and quite half way in. I felt that life is too short for half assed, pseudo-hispter books where too much effort was put into making sure it seemed intelligent versus building likable characters and world you could envision. 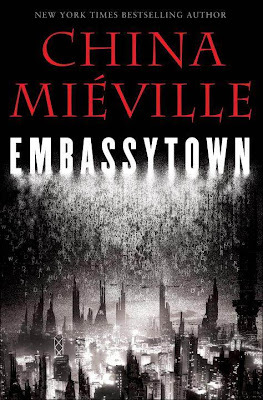 Mieville has ran out of steam and it's evident in Embassytown.